COMPLETED 2014 | 620 S.F. 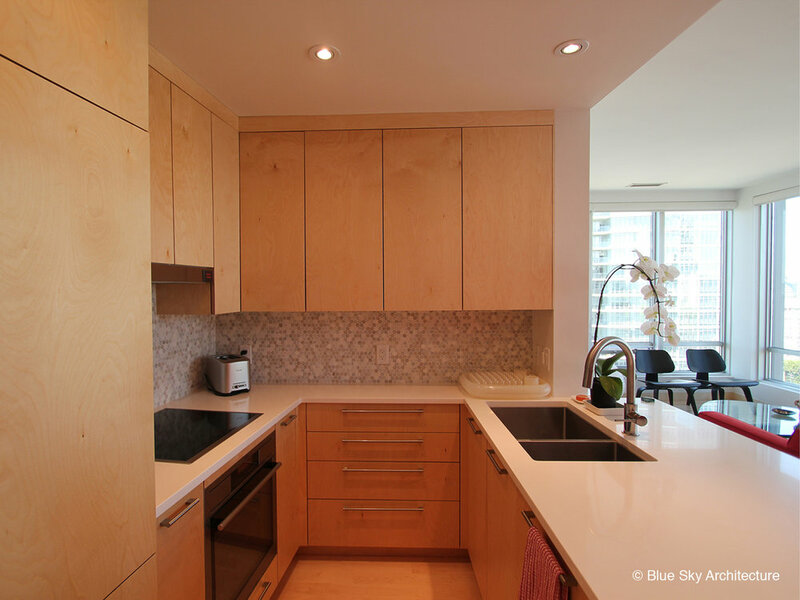 Originally built as a one bedroom suite in the Electra Building, an iconic mid-century building in Vancouver, this 620 square foot condo underwent a complete architectural renovation, rebuilt as an open space filled with light and colour. 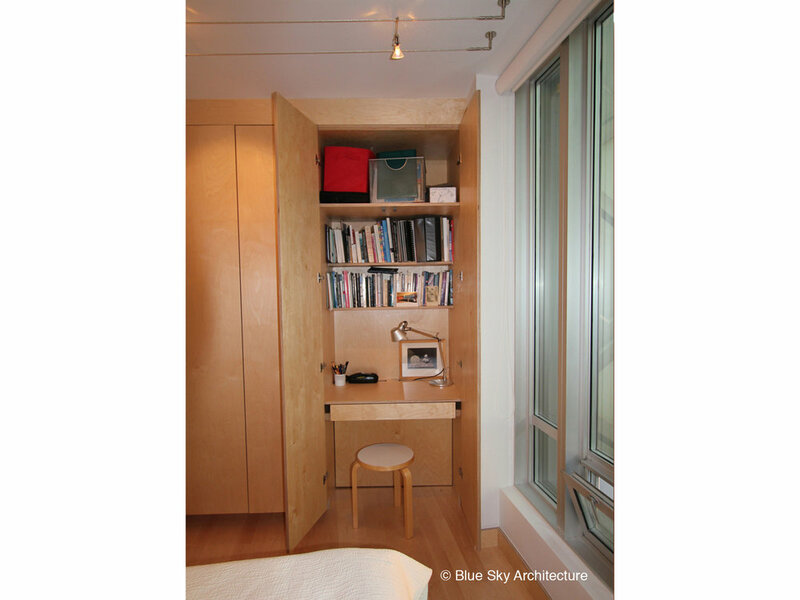 By removing bedroom walls and adding a twenty foot storage wall and office area, the sense of space is much larger than the original. 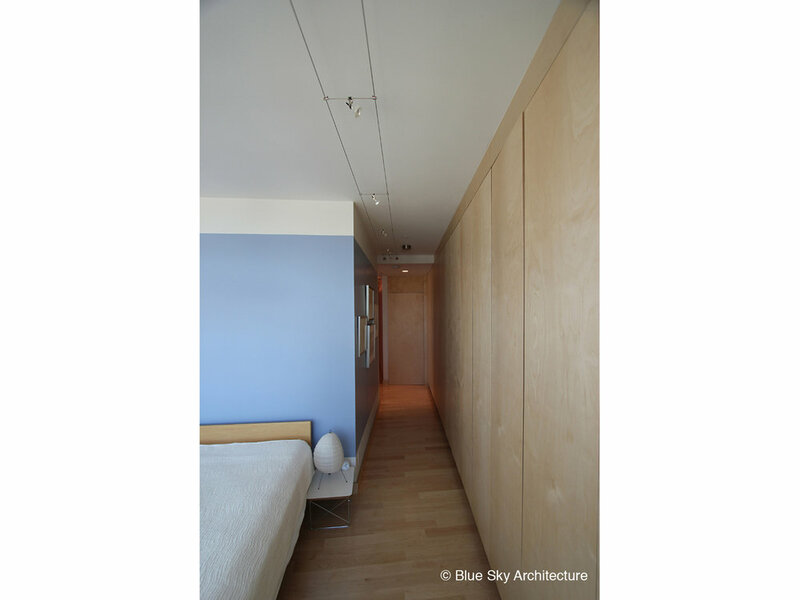 A consistent palette of birch plywood and maple floors contribute to the lightness of the space and highlight the coloured walls framed in white. Two large window walls open to spectacular views over downtown, the North Shore mountains, and English Bay, filling the condo with light. 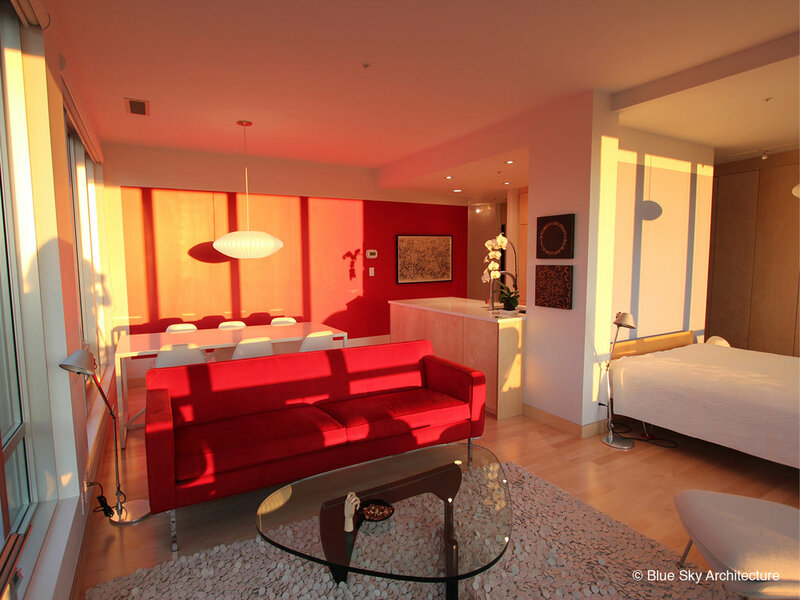 The condo space is transformed from morning to evening by the movement of natural light and the Electra light sculpture.